I was running around today buying gifts for Auntie’s birthday celebration tonight. I dropped off the gifts at home, before running up to the grocery store to get balloons. 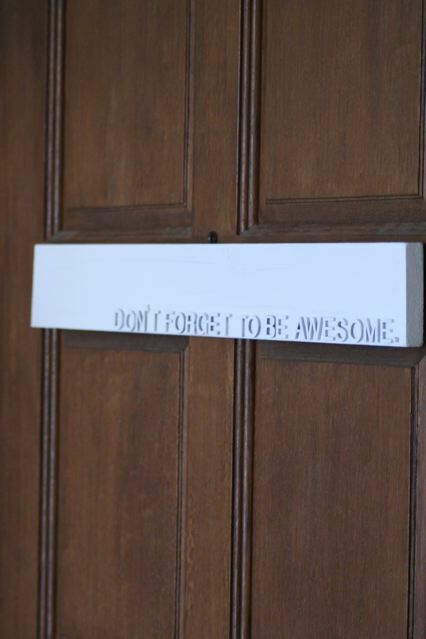 Joe ran out to the car to get Auntie’s gifts….and as I was driving away, Joe hollered, “Don’t forget to be awesome.” It’s a slogan/reminder/mantra I recently added to our home right on the back of our front door. I used a scrap piece of wood Hubba had, and some letters I had from scrapbooking. 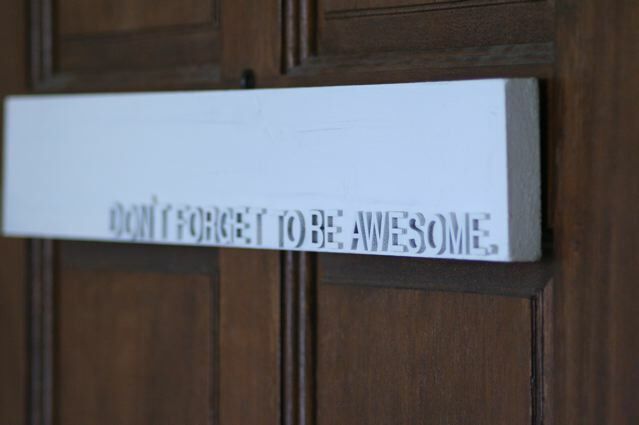 I spray painted the letters white and I painted the wood with leftover paint from Hubba’s new dresser. I was thrilled that Joe was onboard!